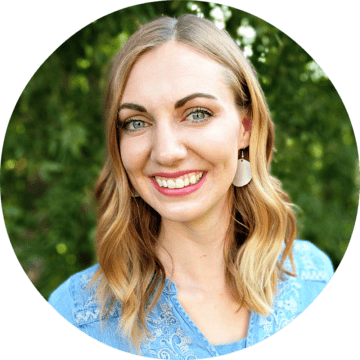 Because I’m in nesting mode, I’m thinking about how to take care of myself creatively even with a new little baby. I’m not expecting to do much sewing or creating, but I do think I will be able to find ten minutes for myself here and there. I know everyone appreciates a quick sewing project because everyone is busy. Sometimes a quick project is just what you need to feel successful and give you the encouragement to keep trying. There are affiliate links in this post. I’m totally loving the pompom trend, and I want to put them on everything. I think they are especially perfect for little girls. And how cute would they be for a baby? 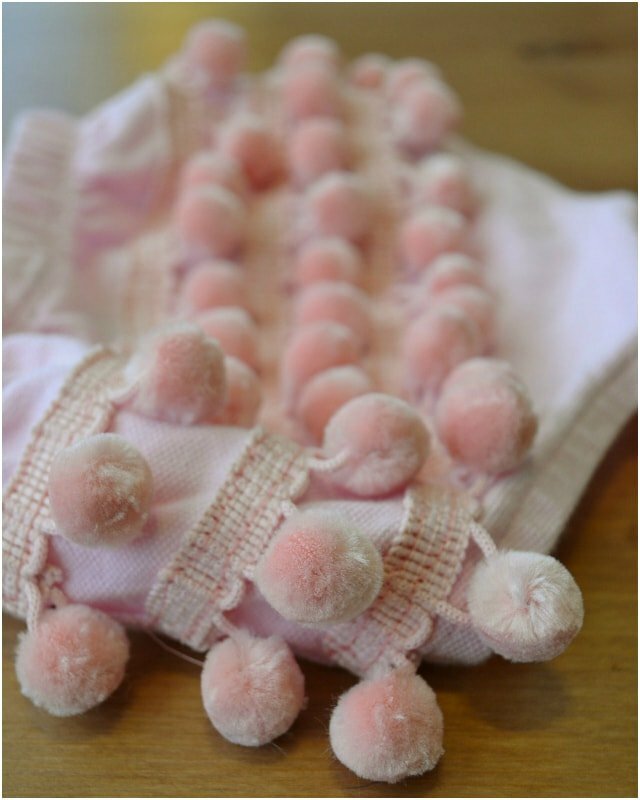 Can you see a baby girl crawling around with these pompoms bouncing around? I made a diaper cover for my baby girl and this pompom diaper cover tutorial is quick and satisfying. It took me ten minutes to sew and the longest part was pinning! 1 yard pompom trim* – I purchased mine at Joanns. They have lots and lots of different colors! There is also mini pompom trims. Cut the trim into three equal lengths that fits across the back of the diaper cover. Don’t worry about getting the exact measurement of the diaper cover just make sure the three pieces of trim are cut the same length. When cutting the trim, cut carefully between where the pompoms are connected to the trim. Carefully pin the trim onto the diaper cover equal distances apart. I had about an 1″ between each trim. Fold the ends under to catch the edges and enclose the raw edges. Sew the trim on with a straight stitch. Sew all the way around the trim on both sides in a long skinny rectangle. Put the diaper cover on your little cutie and enjoy the adorableness. You could even mix and match patterns and colors. Wouldn’t these be a great and easy gift? I think it would be fun to make a couple in different colors and give them at a baby shower. They would be so well received and fun to show off! And nobody has to know how easy and fast this pompom diaper cover tutorial really is! My first thought was "how adorable" and started making mental note to buy some to make as gift for co-worker. BUT my second thought was how babies put everything in their mouth and they have quite a grip & could tear one off, especially by the time they reach crawling age. PLEASE CONSIDER THAT BEFORE MAKING!